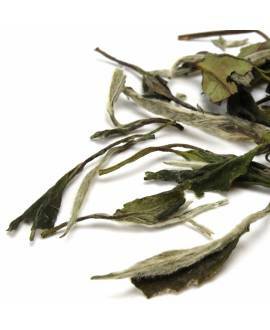 Silver Needle is the most famous and the most prized amongst all loose leaf white teas. It is also the most expensive one as it is made entirely of young, tender, silver-white leaf buds that are picked before they start to open. The pluckers must gather the shoots very carefully in order to avoid bruising the leaf cells, for this would cause the buds to oxidize. 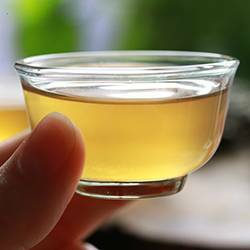 And throughout the processing, which takes several days, the tea must be handled very gently. 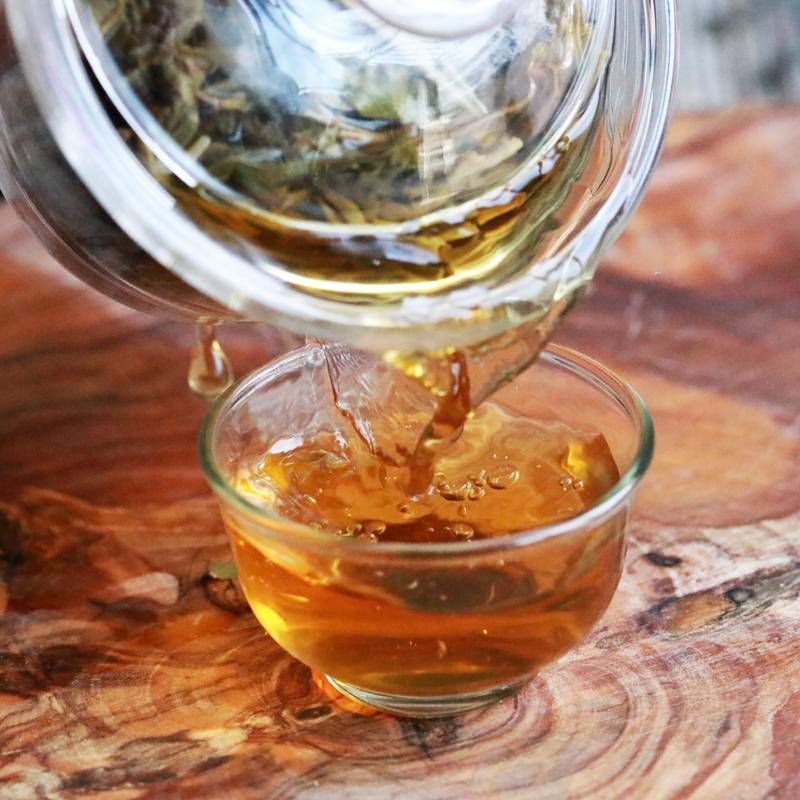 In the past in China, the very finest white teas were gathered by being snipped from the bush with golden scissors and collected in a golden bowl before being carried to the house or factory for drying. 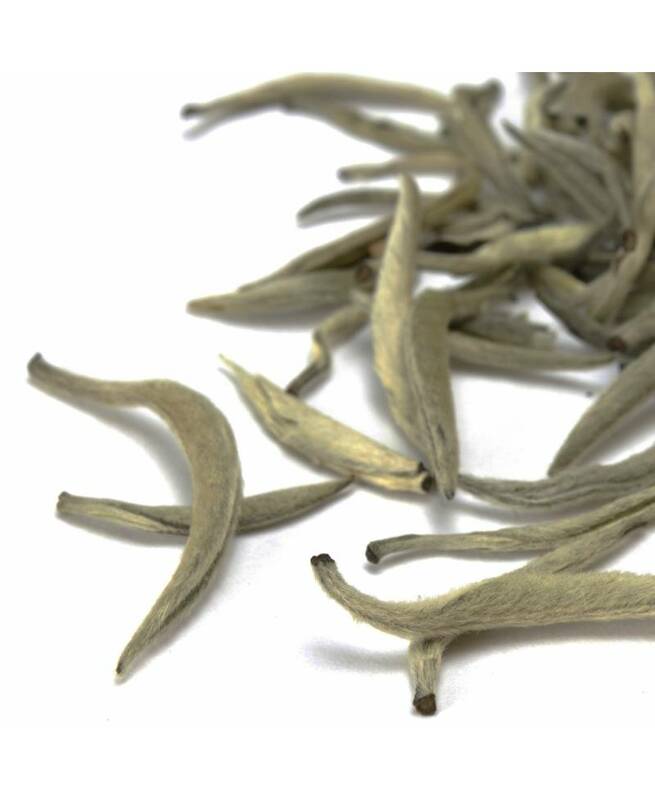 The tips of the small shoots are silver-white in appearance because of the silky hairs (in Chinese, the Bai Hao) that cover the buds to protect them from insect attack and harsh weather as they slowly develop. 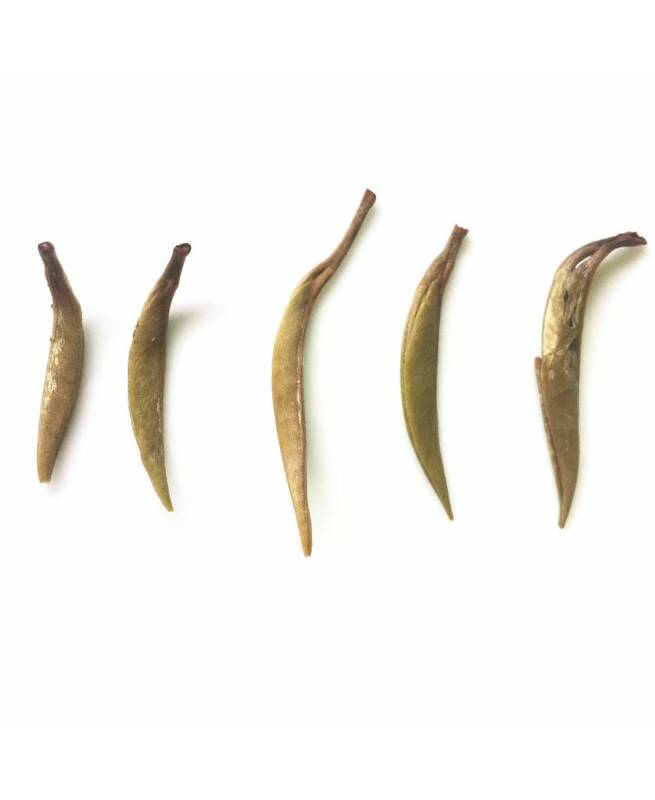 The buds also contain high levels of caffeine, a natural insecticide which helps to defend the tea as it grows, and high levels of polyphenols, which act as antioxidants in our bodies. Taste Smooth, soft and creamy with floral notes and subtle nuances of honey and apricot. Sweet and refreshing.